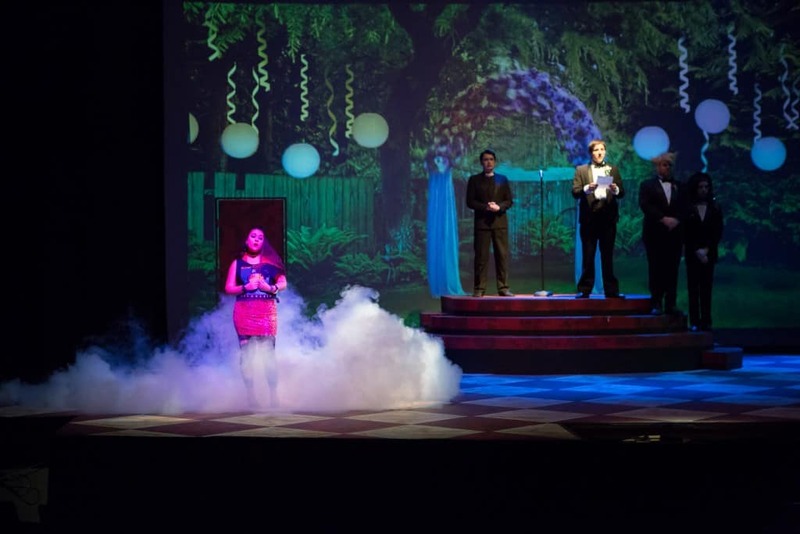 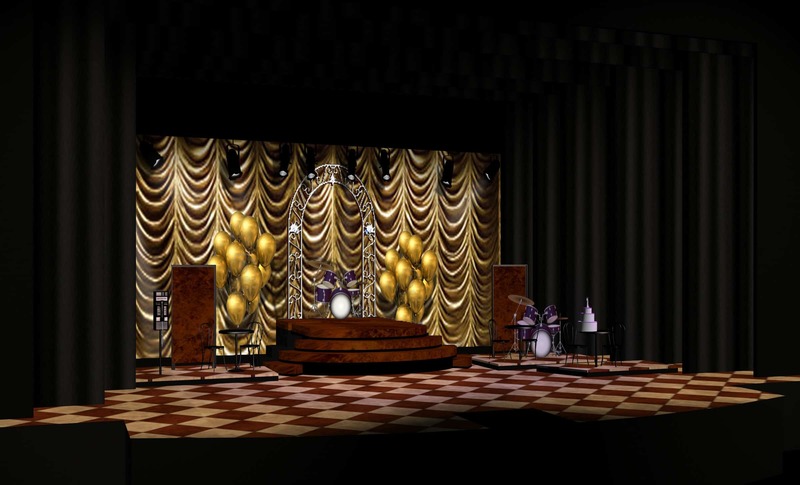 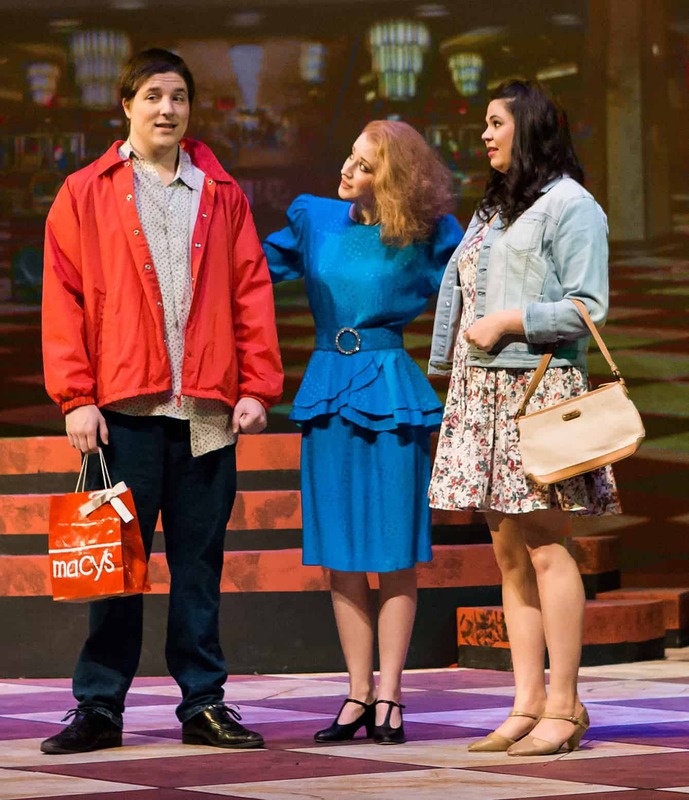 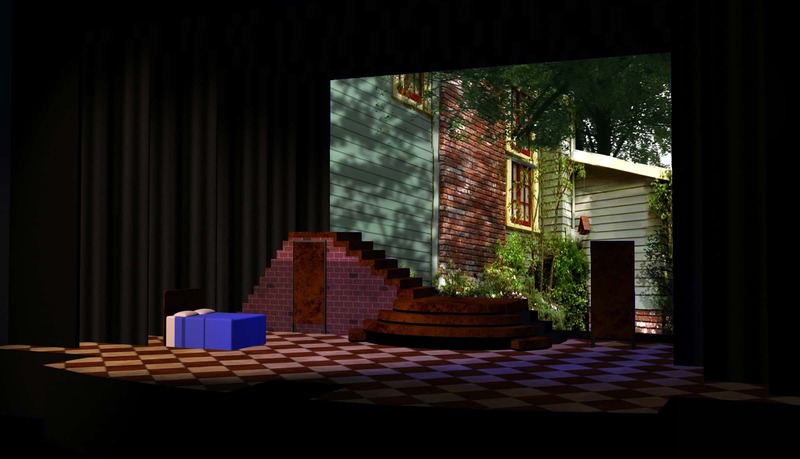 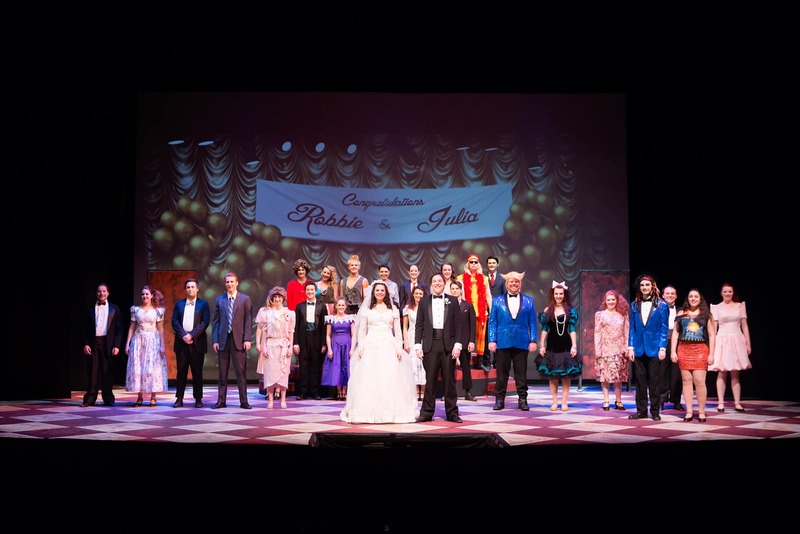 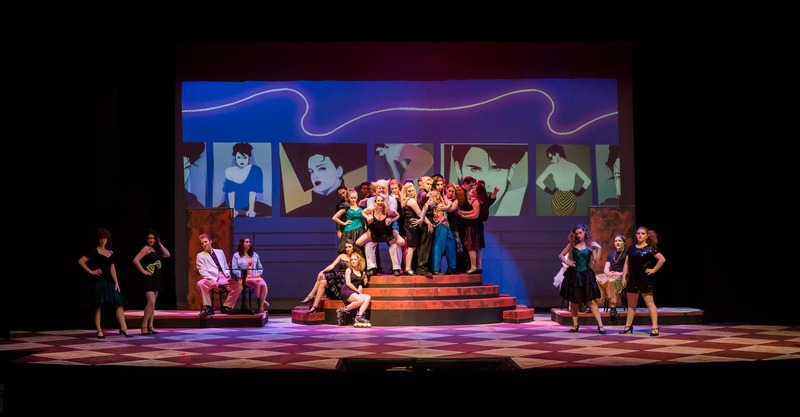 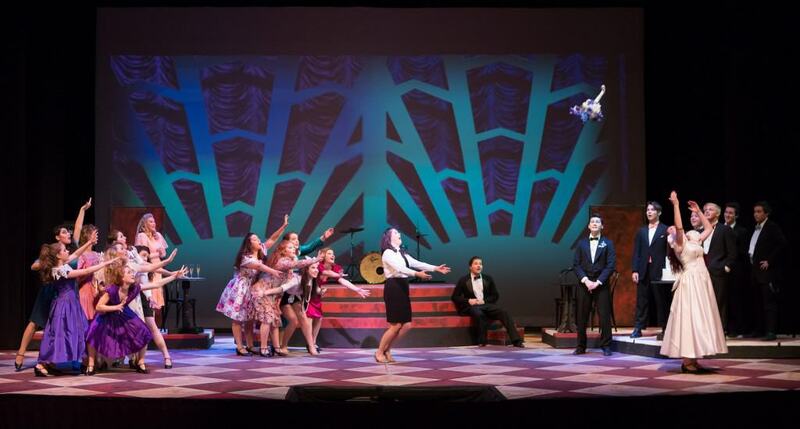 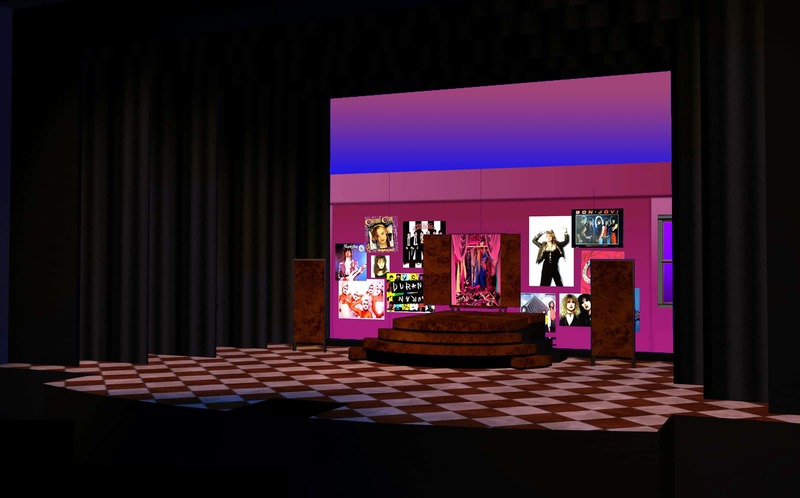 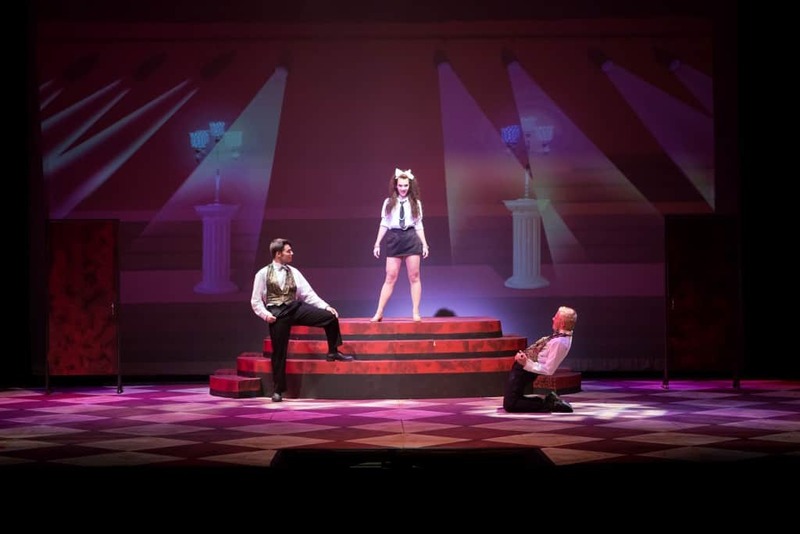 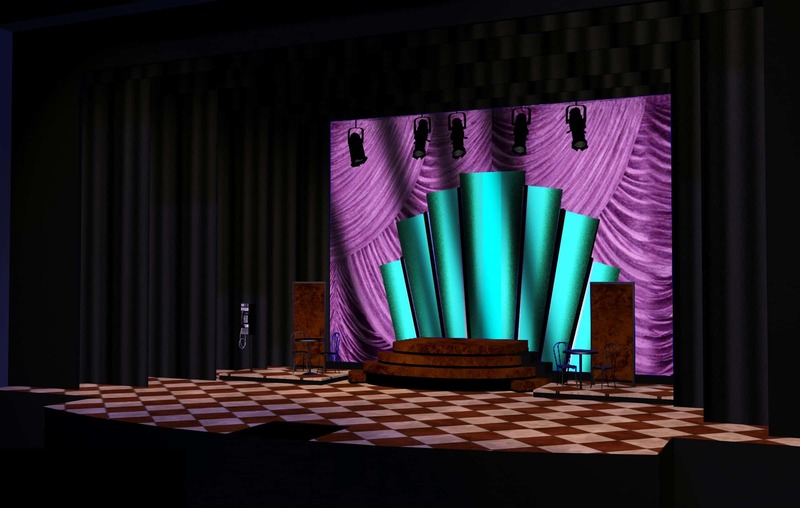 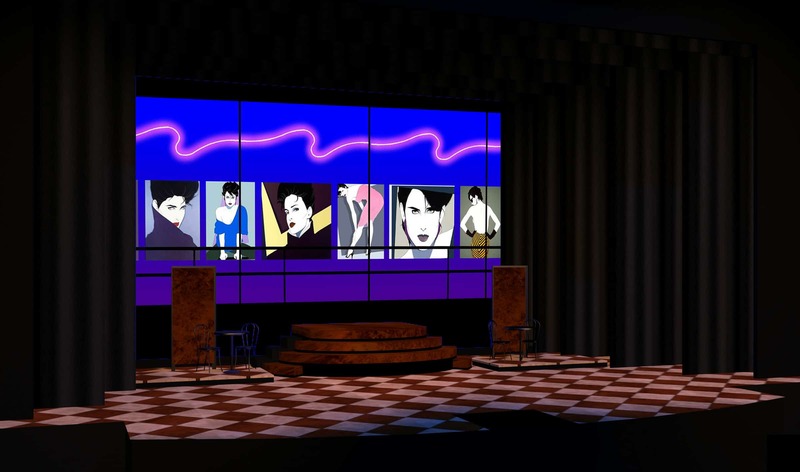 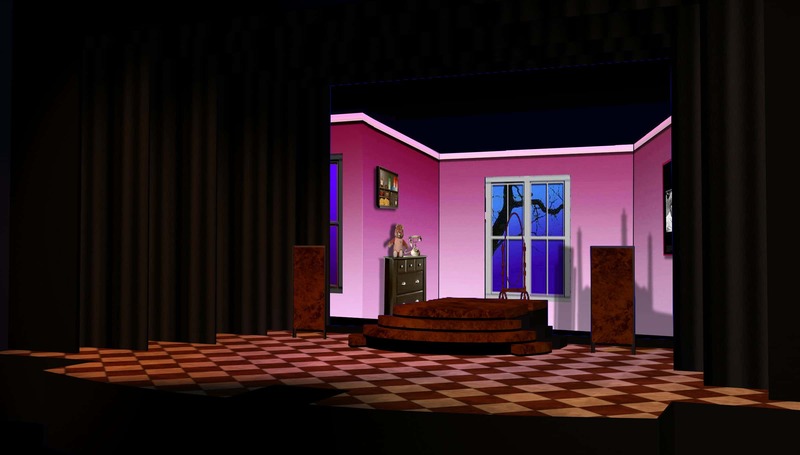 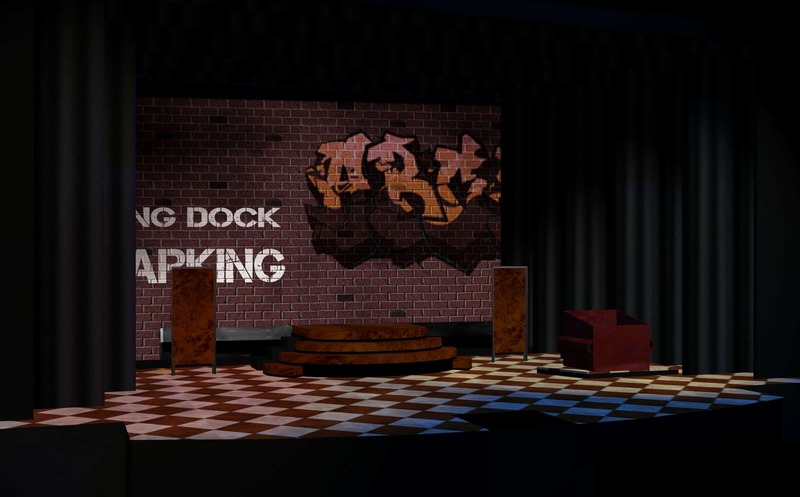 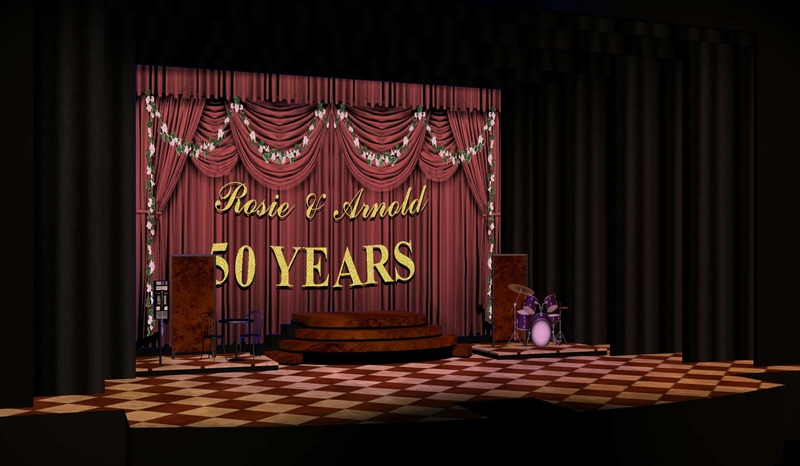 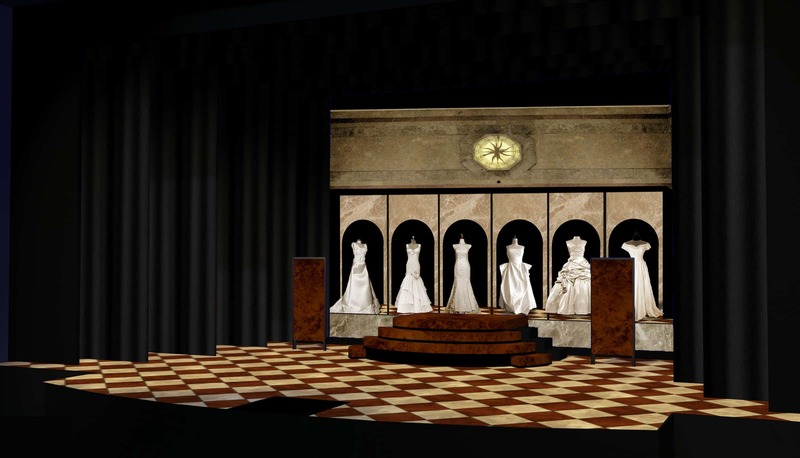 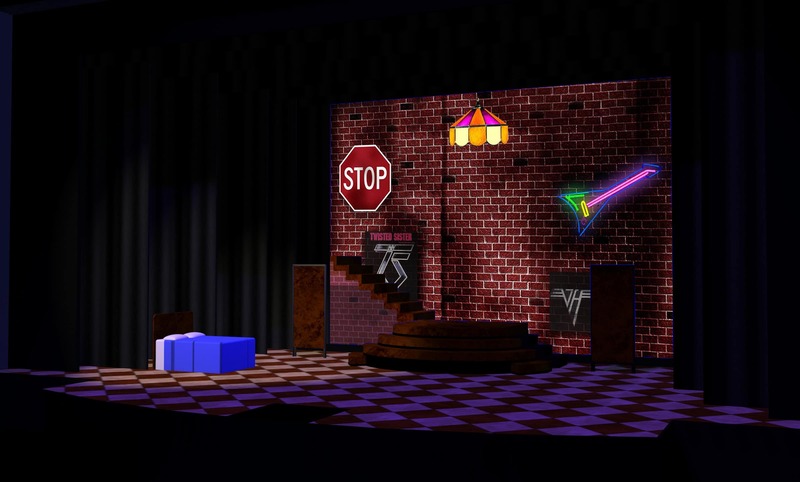 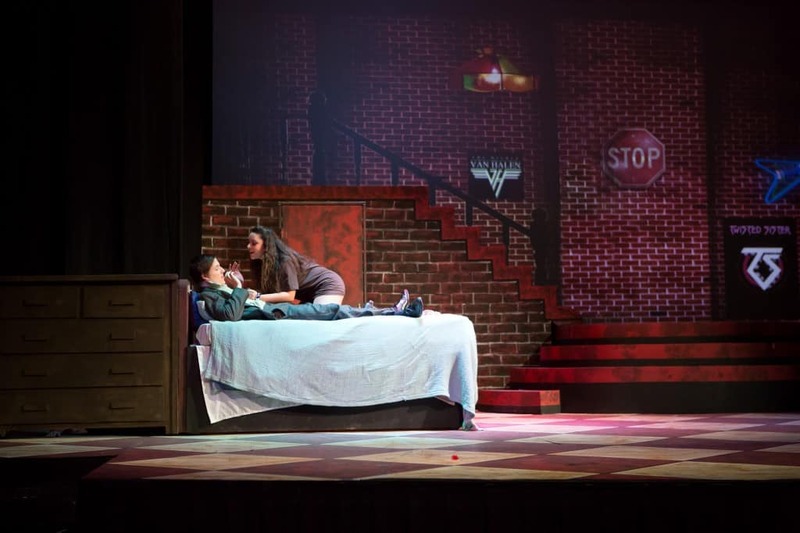 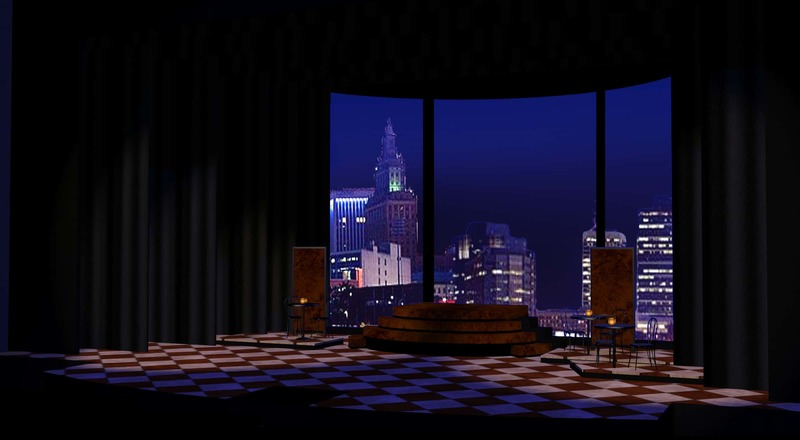 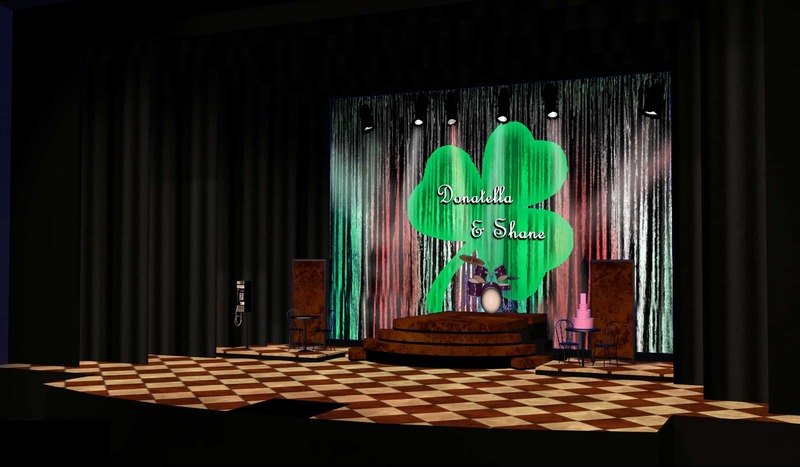 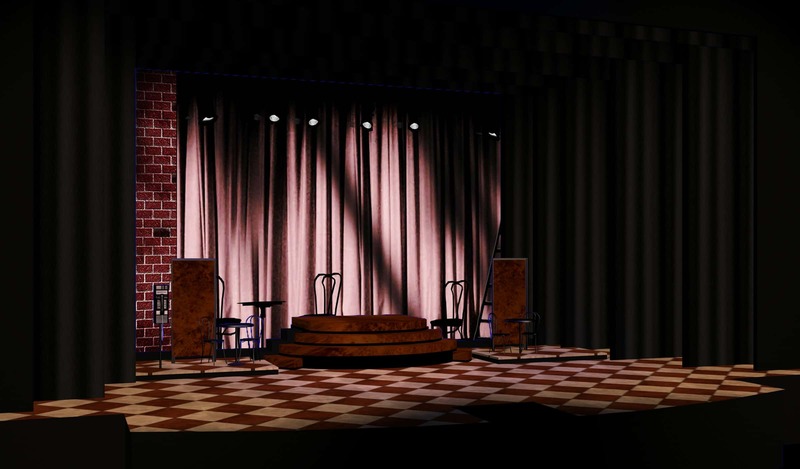 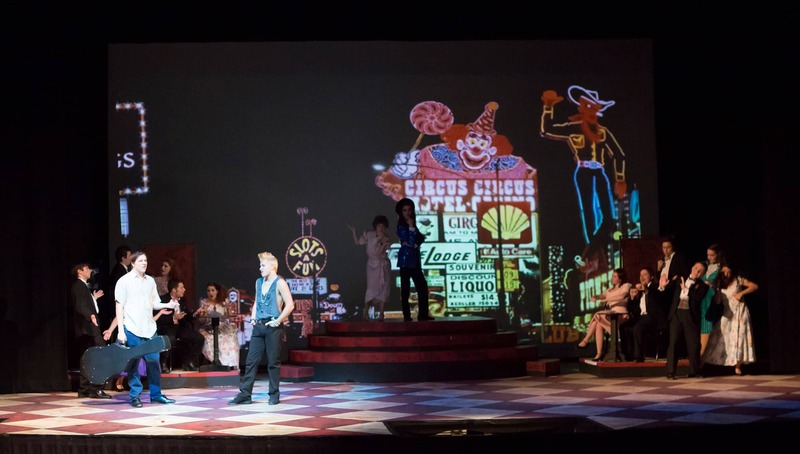 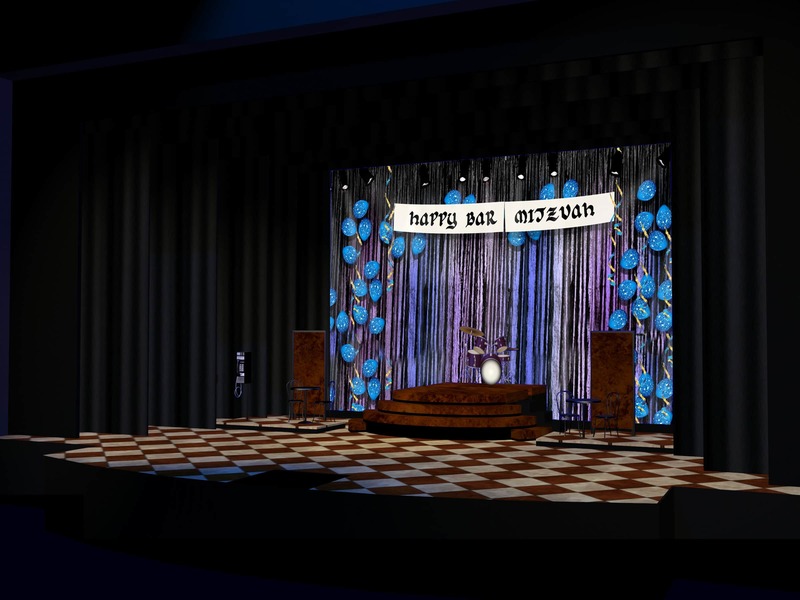 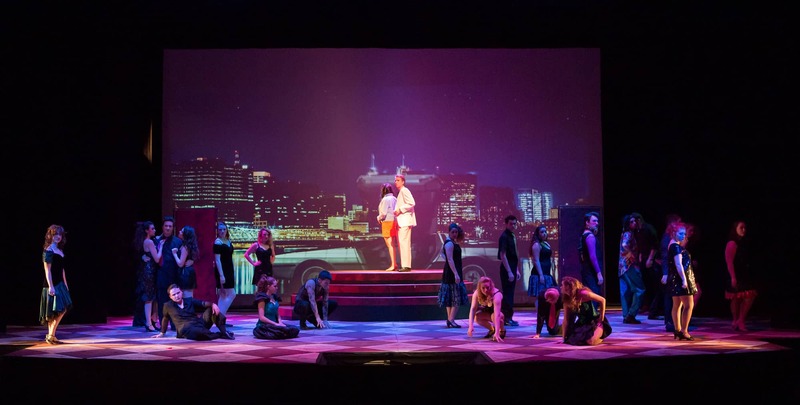 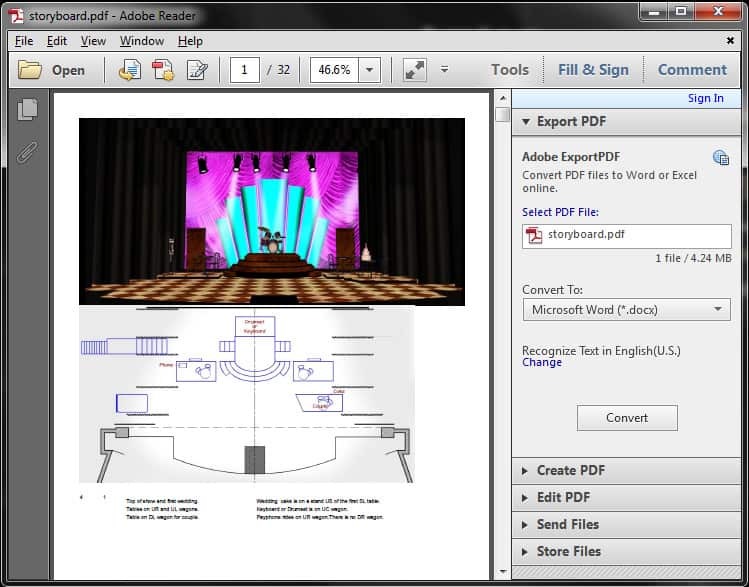 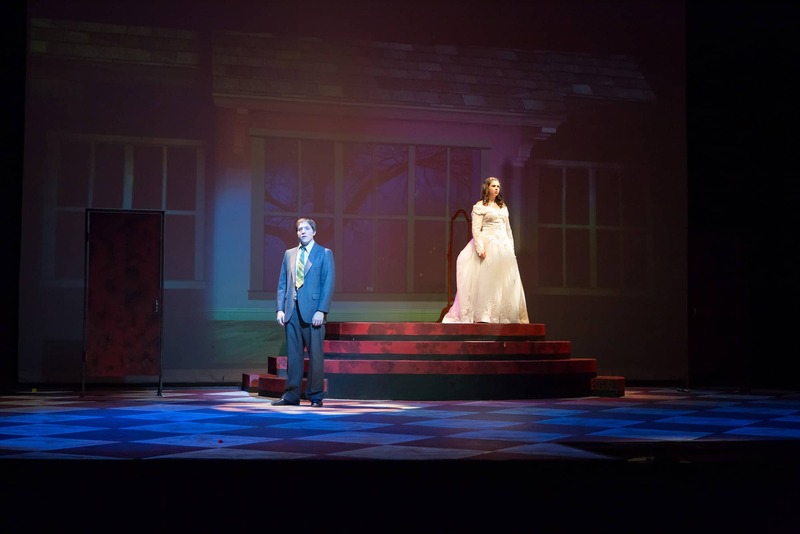 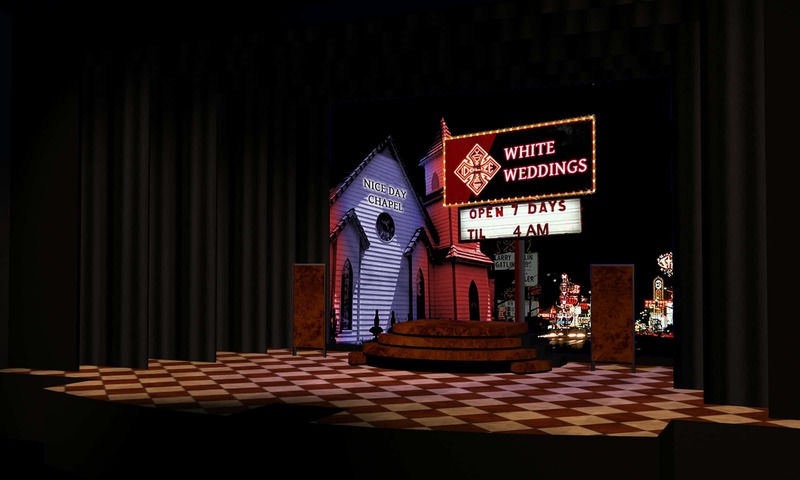 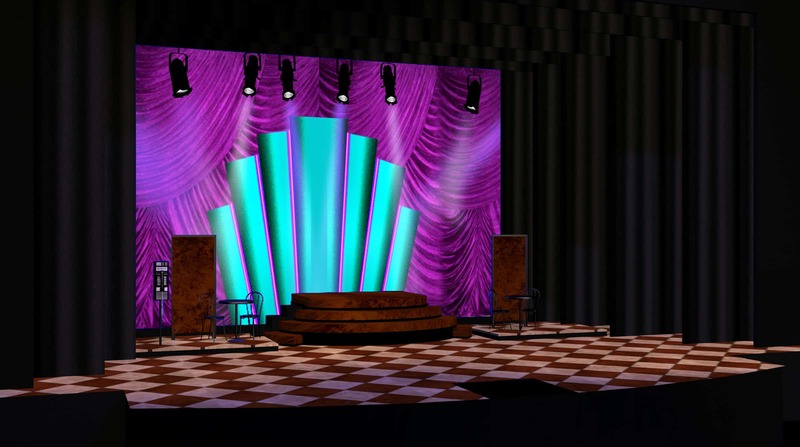 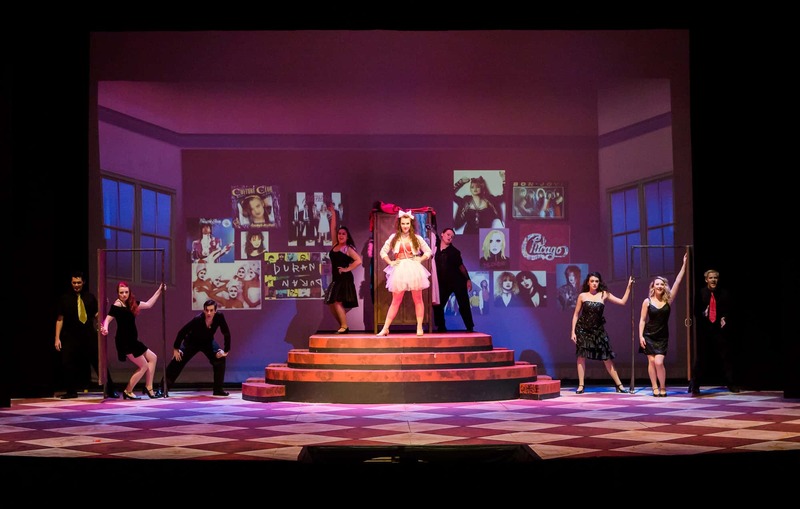 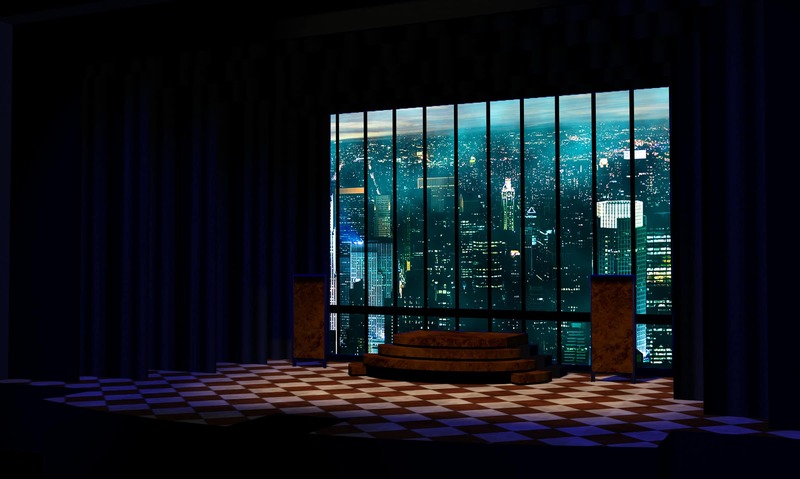 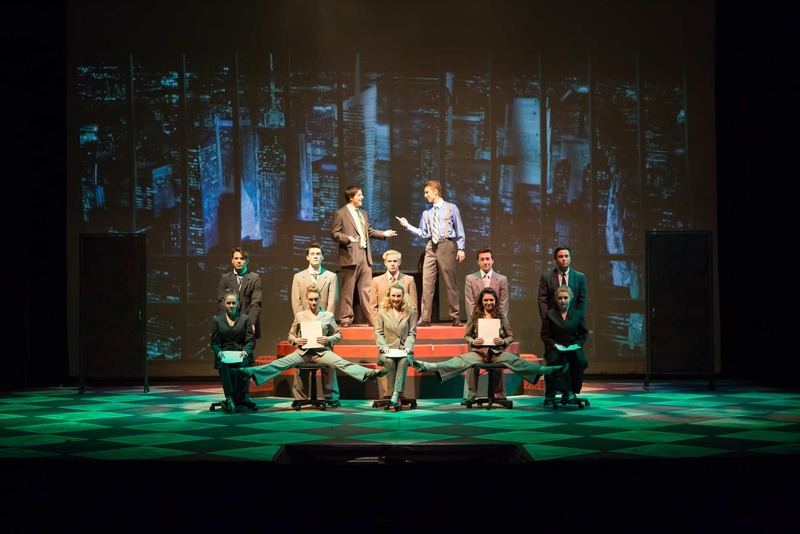 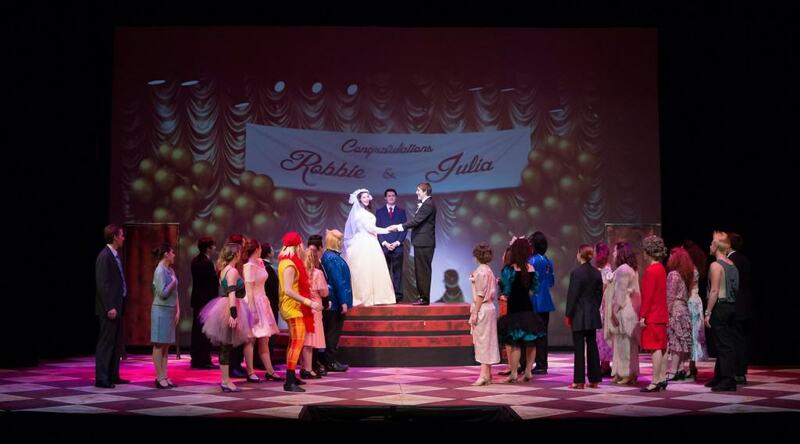 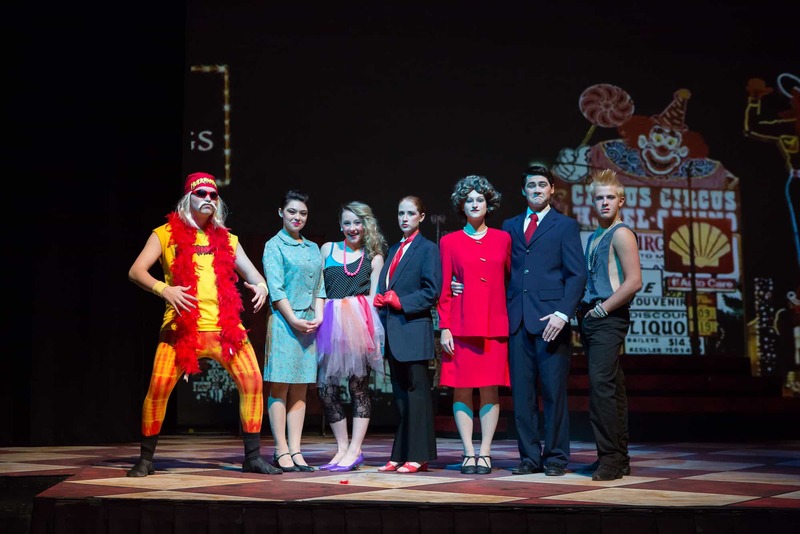 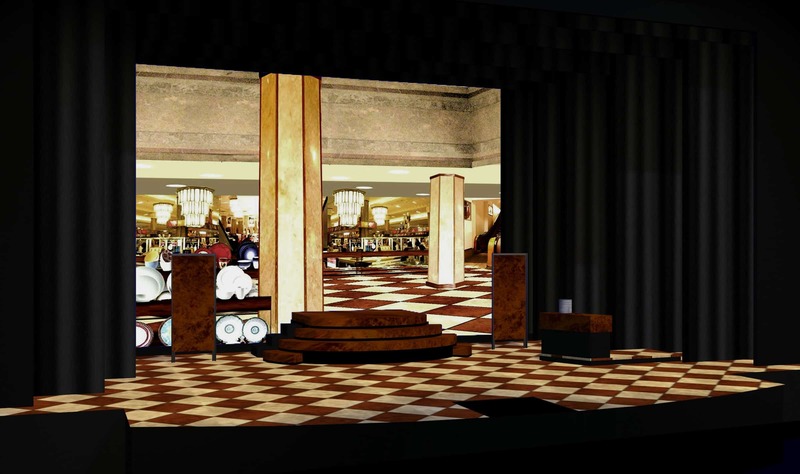 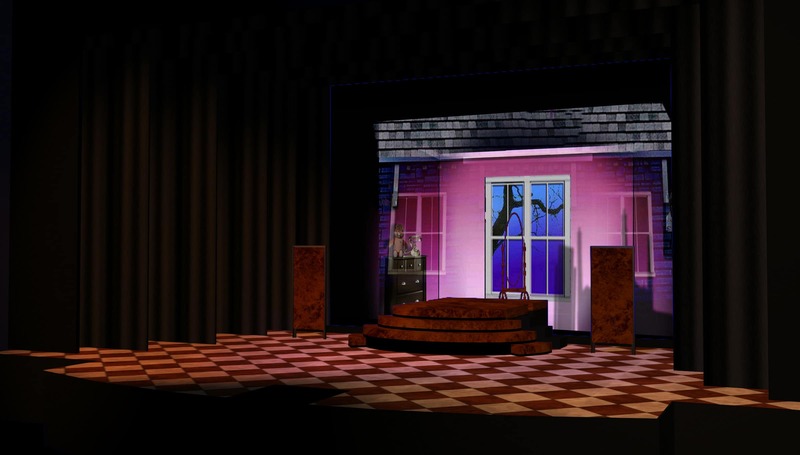 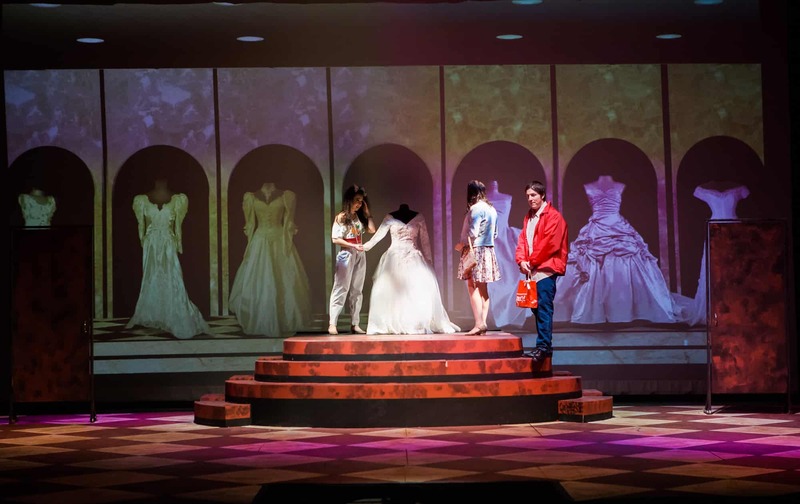 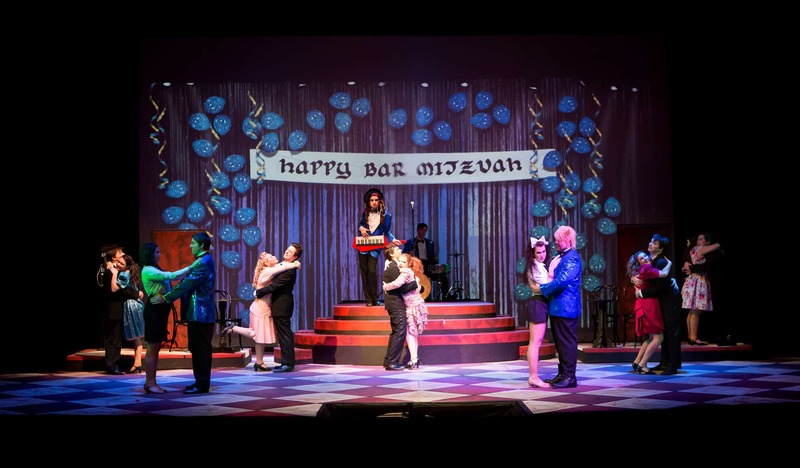 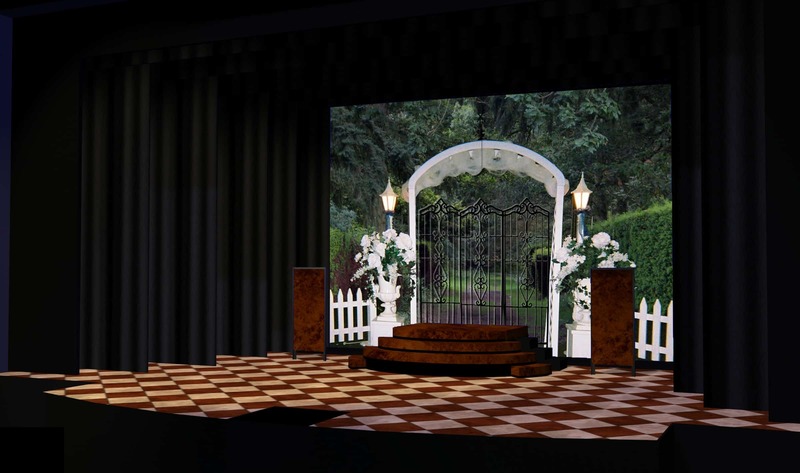 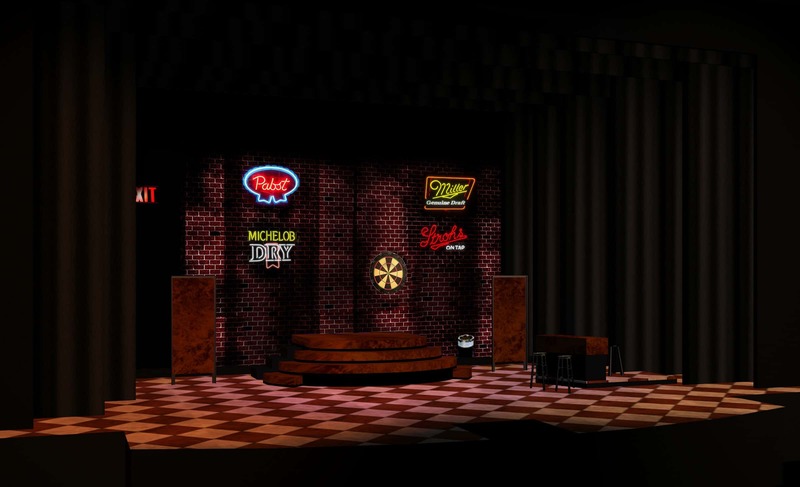 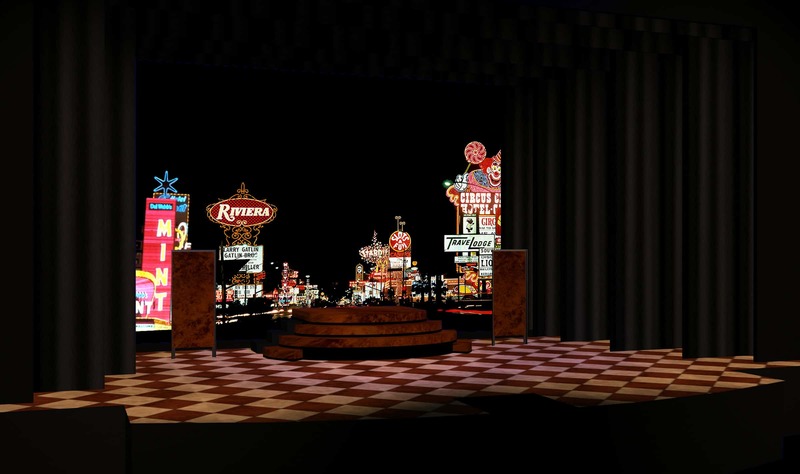 This design for The Wedding Singer draws heavily from my earlier design at Jean’s Playhouse. 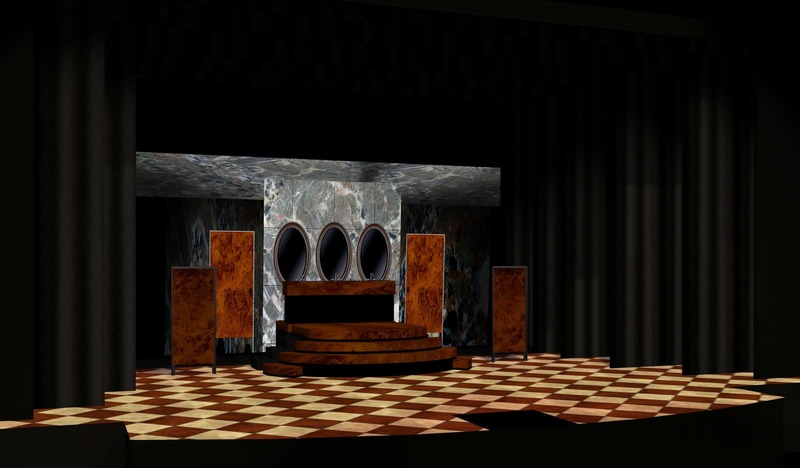 The basic functionality and look of the set is the same. 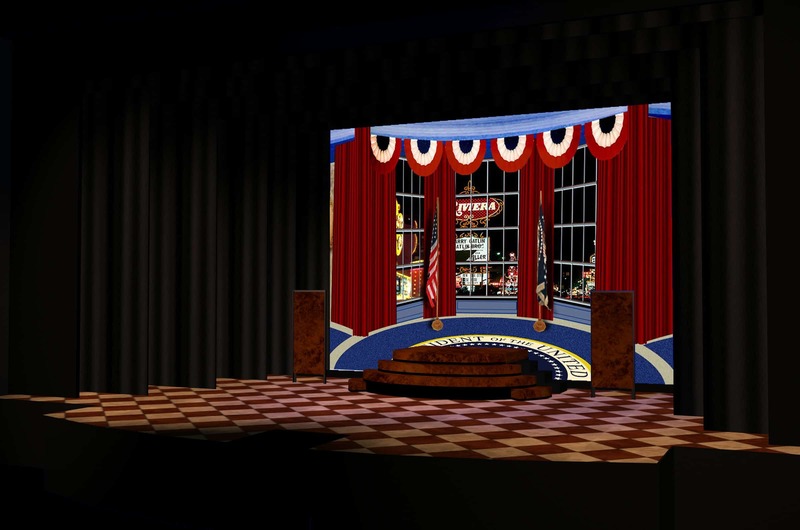 The projection installation is more sophisticated this time around, allowing a bigger background, with different proportions. 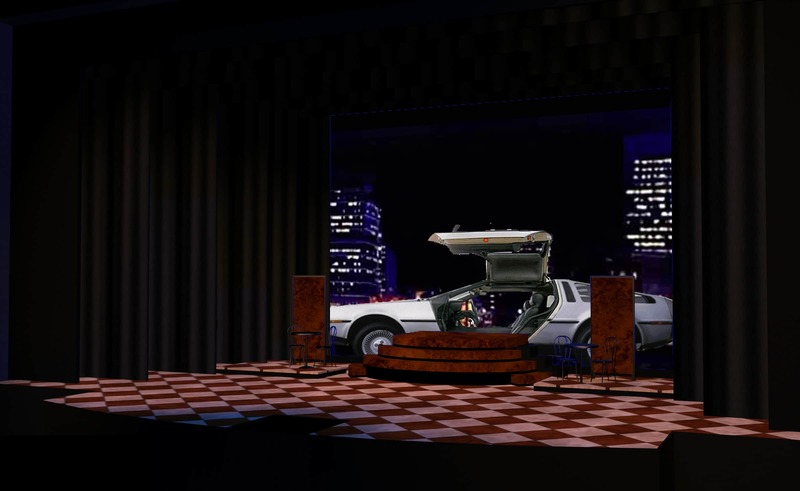 There was much more animation involved this time, especially in scenes relating to the Delorean, and the Las Vegas Strip. 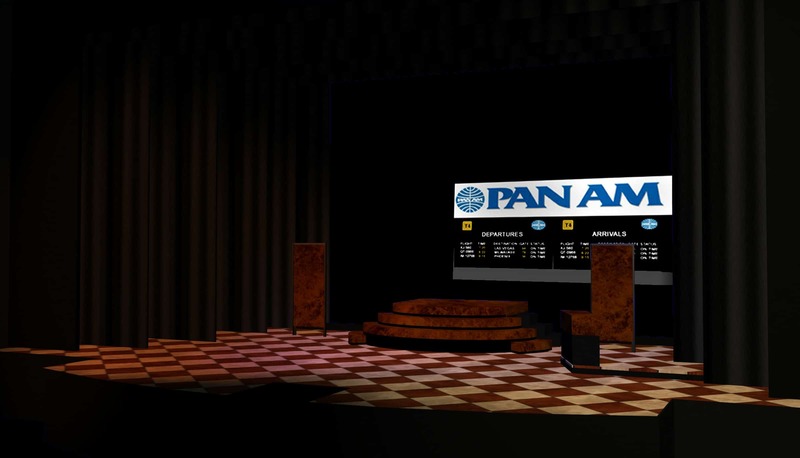 This media is available for rent. 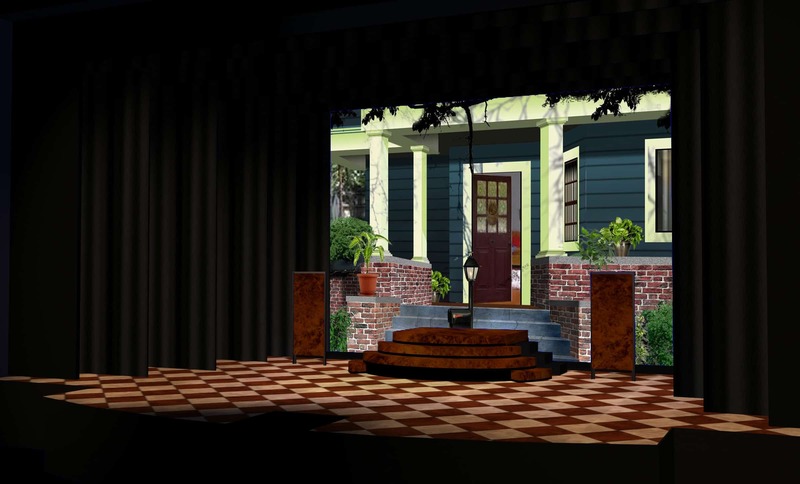 Julia’s house, as seen by Robbie from street. Julia and Robbie, both settings superimposed. 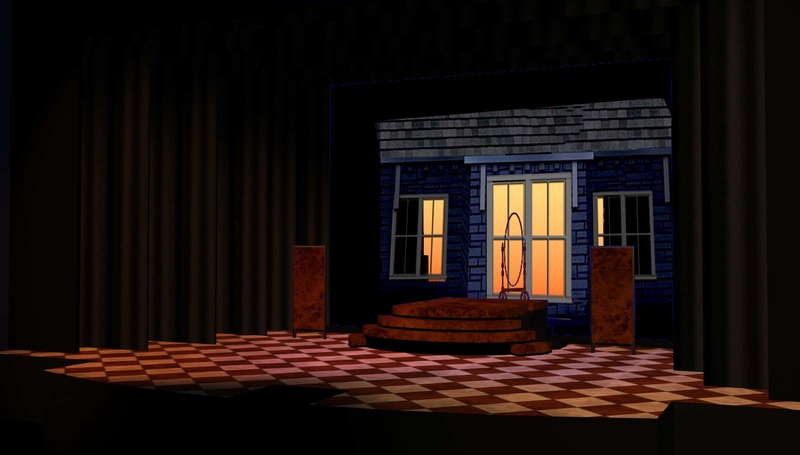 Robbie’s bedroom, showing a temporary view of the side-entrance of the house. 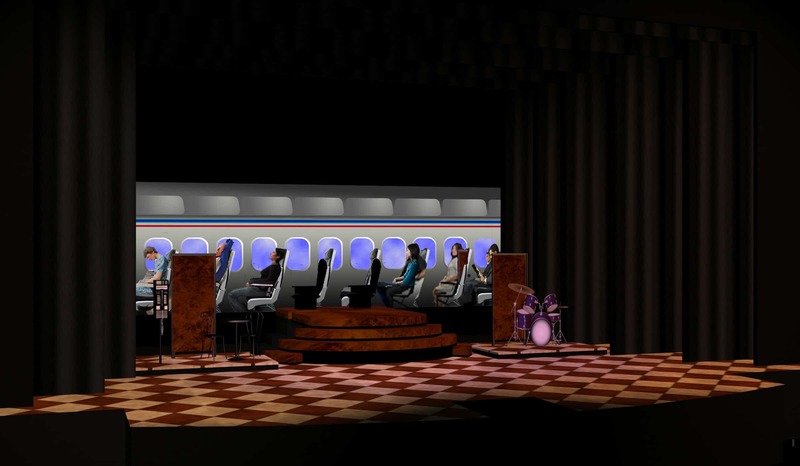 Crossfade to airplane from reception hall.